I have not been to an arcade in ages, but boy was it fun way back in the day. 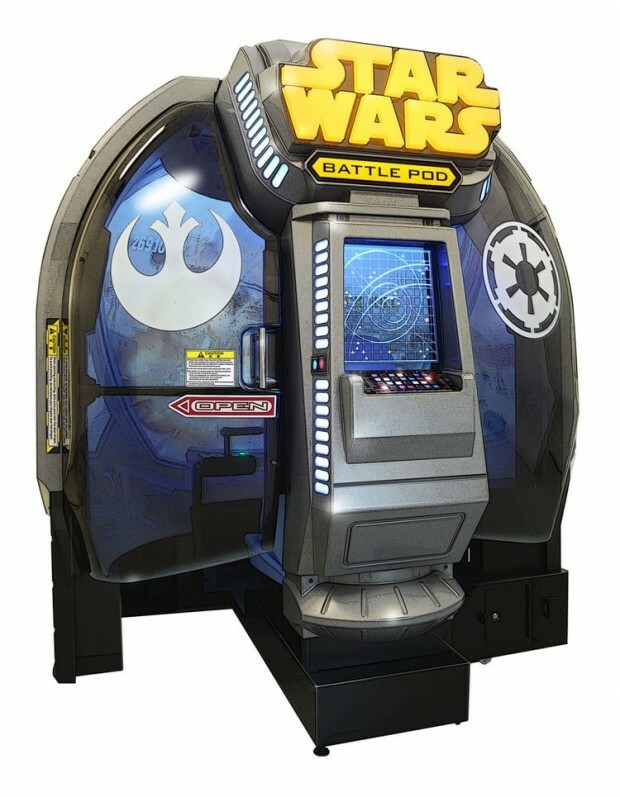 Bandai Namco’s Star Wars Battle Pod definitely looks like it brings back the arcade experience. Check out the video, because honestly, there’s nothing I can say that would do it justice. I will say that this photorealistic flying game looks like the best Star Wars game ever, with all of epic space-, Endor- and Hoth-based battles you could want. The game will be available worldwide at an arcade near you soon. If you are near New York City, check it out the Dave and Buster’s in Times Square right now. This game looks crazy good! Five stages that “recreate the fiercest battle scenes from the original Star Wars trilogy.” Players will take command of the vehicles that appear in the films such as X-wings, snowspeeders, speederbikes, the Millennium Falcon and TIE Advanced. Star Wars: Battle Pod offers a real sense of flight combat action and delivers an authentic flying experience as if players are actually sitting in the cockpit of a battle pod in the Star Wars universe. Players can jump right in to true-to-film battles on Endor, Hoth, Death Star II, Yavin, and more.